GIVE YOUR PATIENTS A BUSINESS CARD EVERY TIME YOU SELL THEM BATTERIES! Rayovac Pro Line's custom imprint program puts your office information on every Pro Line product card you order. This gives you the opportunity to keep your office top-of-mind with patients every time they pull out their batteries. Get more out of your imprint! 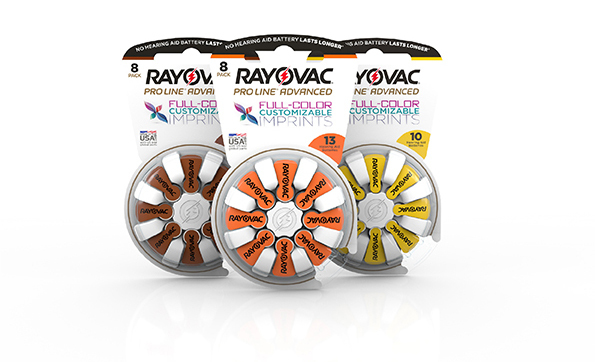 Now available, Rayovac Pro Line customers have the exclusive opportunity to print their logo in full color on every card! This ensures premium branding for your practice. No longer will logos look flat and be difficult to read. The added colors will help to draw your patient's eyes to your office information.